Are you hankering after your cured meats with a touch more smokiness? Or maybe you’re looking for a sharp and sour accompaniment to a ripe cheese? 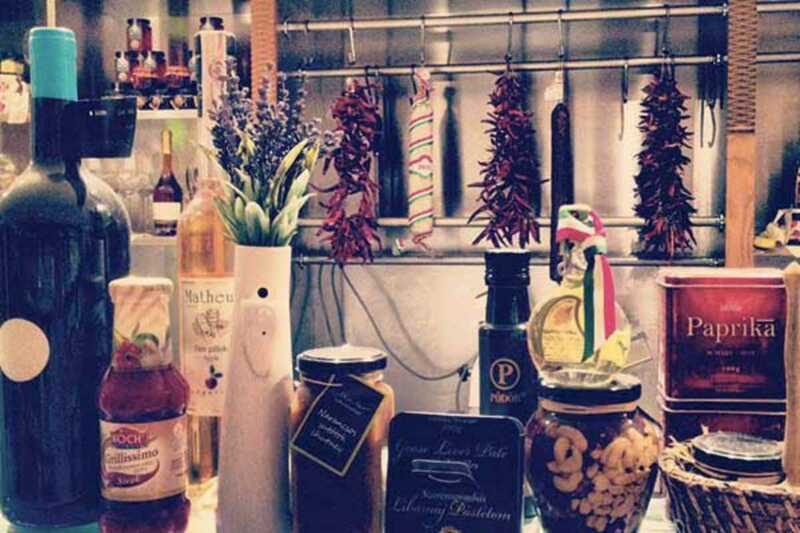 If so, then the shelves of Paprika Gourmet, Barcelona’s only Hungarian delicatessen, are groaning with magyar produce ready to satisfy that urge. You’ll find rows of chutneys, pickles and honeys sitting alongside varieties of mustards and specialty jams. Or be spoiled for choice on the deli counter with naturally smoked salamis and similarly smoked cheeses or those studded with garlic, dill or cranberries. If you’re in no rush, take a seat by the window and enjoy a Vienna roll or bagel pastrami sandwich bursting with pickles. To wash it all down, ditch the usual Rioja or Priorat for a Zenit or Kadarka from the wide selection of Hungarian wines and liquors.